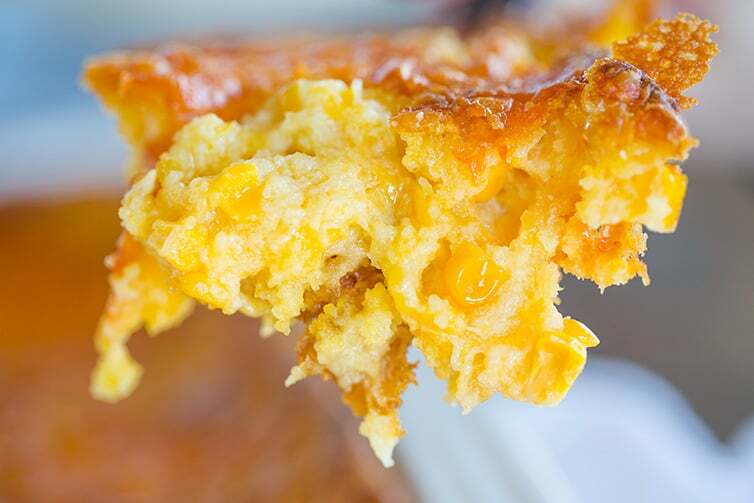 This Cheesy Creamed Corn Casserole is super easy, mixes together in 5 minutes, and is the perfect side dish for all of your holiday dinners. 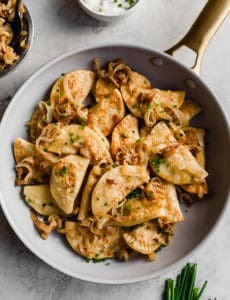 I’m not afraid to admit that I absolutely, unapologetically, and with every single ounce of my being, adore casseroles… the creamy, cheesy baked dishes often get a bad rap in the foodie world. Maybe it’s because they are old-fashioned by nature, typically don’t include the latest trendy ingredients, or are just not fancy enough in a world full of macarons, truffle oil and gourmet cheeses. For me, however, they are everything that is right about family food traditions. It’s about my Aunt Rene’s broccoli casserole being on the table for family dinners… about scalloped potatoes (that were always made from a box) sitting squarely between my cousin Kristy and I so we could take seconds and thirds before anyone else… about eating the crunchy onion topping off of the green bean casserole and giving the vegetables to my mom or sister. Food doesn’t always need to be fancy or complicated to be good and much appreciated. 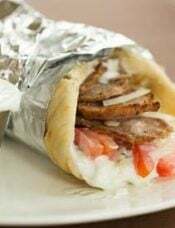 It’s amazing to me how many memories are conjured up just at the mere mention of a particular recipe, seeing it in a photo, or smelling something similar. So, I power on with casseroles, updating them as I go, but letting them shine in all of their creamy, cheesy, comfort food glory. 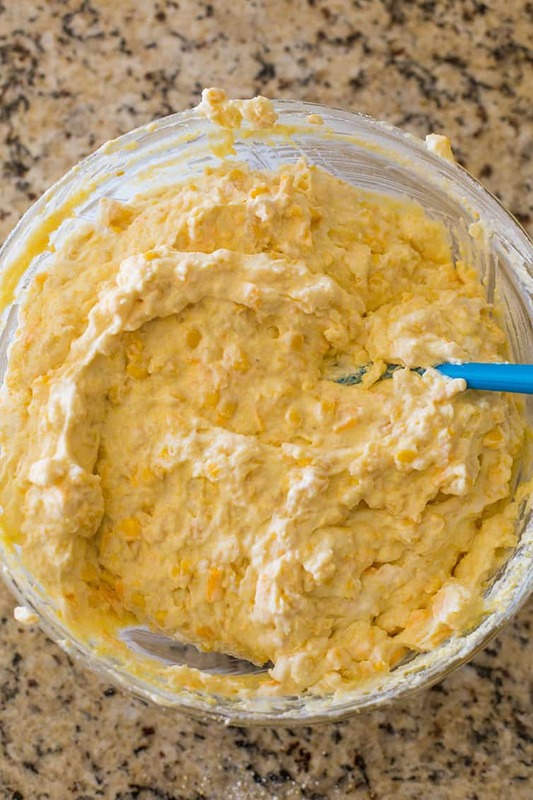 While I’ve tried in recent years to eliminate the “can of cream” from some standby casserole recipes, I always appreciate having a handful of recipes at my disposal that I know are fantastic and that can be thrown together in a matter of minutes, even if a shortcut or two are used. This is one such recipe, which uses boxed corn muffin mix, but that can be prepared in literally 5 minutes. It’s such an incredible recipe, full of wonderful flavor and texture, and it will have family members fighting over the last piece (I don’t foresee any leftovers). So, who cares if Aunt Mary swears by processed cheese in her famous potato casserole? Many times, it’s the simple joys about surrounding yourself with family and familiar flavors that provide the most vibrant holiday memories. 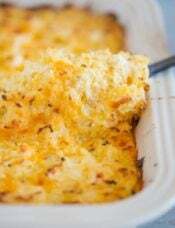 A fabulously easy cheesy corn casserole, a perfect side dish for holiday dinners. Preheat oven to 350 degrees F. Grease a 9x13-inch casserole dish; set aside. 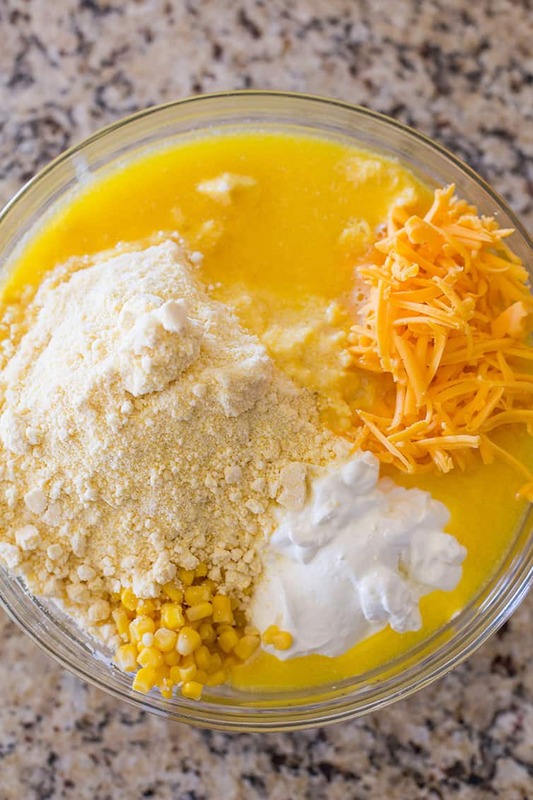 In a large bowl, use a rubber spatula to mix together the corn, muffin mix, sour cream, melted butter, and 1 cup of the cheese. Pour the mixture into the prepared casserole dish and spread into an even layer. 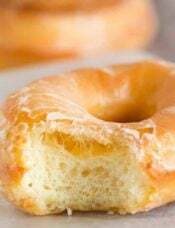 Bake for 45 to 55 minutes, or until the top is golden brown and a toothpick inserted in the center comes out with moist crumbs attached. Increase the oven temperature to 400 degrees F and sprinkle the top with the remaining cheddar cheese. Return to the oven and bake for an additional 5 to 10 minutes, until the cheese is melted and bubbly. Allow the casserole to sit for at least 5 minutes before serving. Leftovers can be stored in an airtight container in the refrigerator for up to 4 days. 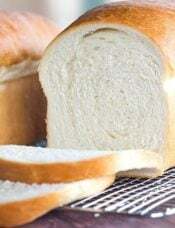 The previous version of this recipe that was post was halved; if you wish to make that recipe, follow the recipe above, halving all ingredients, but place in a 2-quart baking dish. This recipe was originally published on November 15, 2012. I am making the cheesy creamed corn casserole but your recipe doesn’t tell you how many cans of corn,creamed corn and corn muffin mix to use !?!?!? I have not made this recipe yet, but I’m thinking about adding 2 cups of broccoli cuts, well drained, to the recipe when I do make it. Do you think that would work? I’ve heard of broccoli cornbread, but have not made that recipe either.. Your comments, please…. Hi Katie, I think it should work! I am curious why no seasoning was used. Salt and pepper? There is salt in the corn muffin mix and I don’t feel an extra is necessary, but if you like pepper, some grinds of fresh cracked black pepper would be good! I use French Onion Chip Dip instead of the plain sour cream. Colby Jack instead of Cheddar. Is that 2cans for a total of 15 oz corn, or 2 cans of 15 oz each corn? Hi Jeff, 2 cans of 15 oz each. Hi, I’m planning on making this for the first time. I’m going to make it tomorrow. Does it reheat well if I just throw it in the oven the next day and warm a little? Hi Robbie, Yes you could do that! I would reheat covered at 350 degrees for about 20 minutes. Hi Trudy, Yes! You can cook it on high for 2 to 4 hours (depending on the size of your crock pot). Do you think I could make this the day before Thanksgiving then just heat it in the oven on Thanksgiving day? If so how long and what temp? Hi Tina, Yes you could do that! I would reheat covered at 350 degrees for about 20 minutes. I was wondering that same thing too! 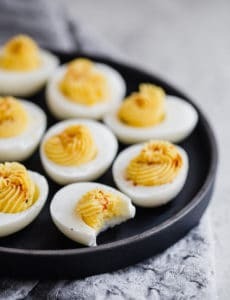 I have made this recipe for years minus the cheese, but it takes 2 eggs. I just figured the eggs made it fluff up more, but if you don’t need them I would gladly omit. 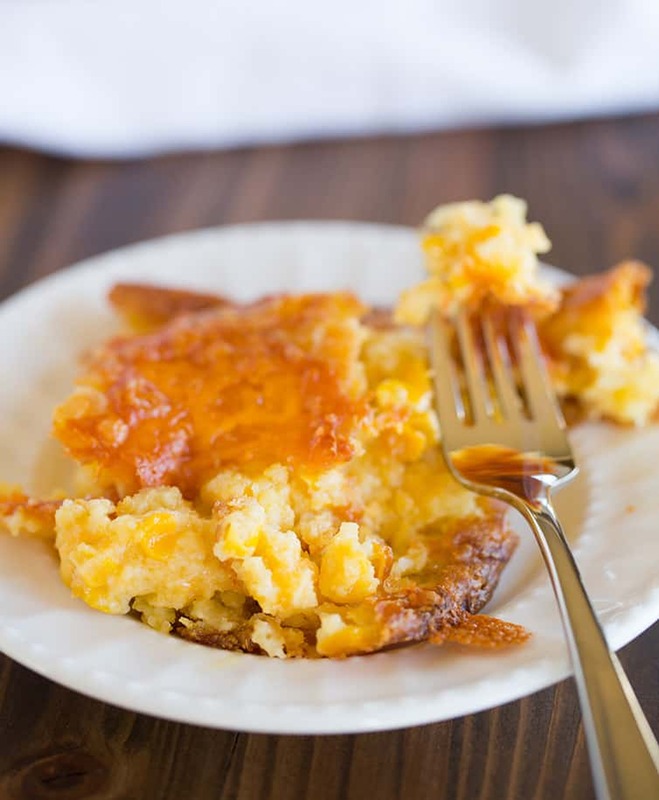 Hi Karen, This version, I never use eggs, however I’ve made something similar and added two eggs and it comes out more like a spoon bread. Can this dish be prepared in advance? Hi Rachel, I never have since it’s so easy to mix together right before you bake it, but I think it should work okay. Could I use a muffin tin to make this? Hi Melissa, I think you could! I would fill each about 2/3 full. Hello, can you make it in the slow cooker? If so how long? I am waiting for this answer as well for I would like to try this for Thanksgiving. Hi Laila, I’ve never done it, but I see a lot of iterations online! Looks like you should spray the slow cooker with non-stick spray, stir together all of the ingredients, spread in the crock pot and cook for 2.5 to 4 hours on high. Hope that helps! I make a lot so that I can eat the leftover for the next day! 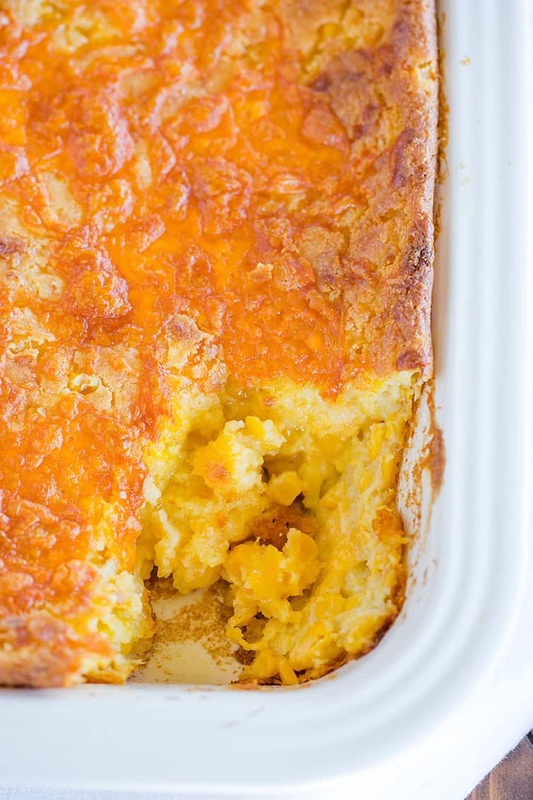 Can this creamy corn casserole be baked ahead of time and then reheated? Hi Debbie, Yes, you could do that! This was by far the best corn casserole I ever made! I did add more cheese. I made this for a family party, and everyone raved about it. It was the winner of all the food brought. I didn’t tell them have amazingly easy it was to make! I just had my sister-in-law call and ask for the recipe so she can take it to her family’s Christmas dinner. Winner, winner! Aww that’s awesome Carol! So great to hear it was a hit and thanks so much for stopping back to share your review! I appreciate it! I’m planning on making it this weekend for a family party. Can this be made in advance – maybe the day before? Hi Ellen, Yes you could definitely make it the day before! I made this for Thanksgiving and it was great. Everyone loved it and it could not be easier to make. It also held up great for leftovers. I will absolutely be making this again. 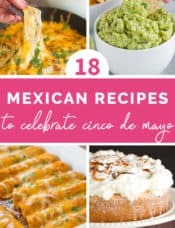 Thank you for sharing so many delicious recipes! I made this for our Thanksgiving dinner instead of the usual green bean casserole. It was easy, delicious, and a big hit with the children & adults. Thank you, it will be a regular addition to our holiday menu. Yay! So awesome to hear, thanks for sharing your review, Gwyn! What can I use instead of corn muffin mix? I don’t live in the United States and I haven’t been able to find the mix here? Thank you. Hi Elel, In that case, I would just search for a creamed corn casserole recipe that didn’t require a corn muffin mix. Hi Michelle! First let me say I’m a long time follower – you have made my dinners, holidays and birthdays so yummy over the years – I sooo appreciate it so thank you! I made this today for a Thanksgiving potluck and it was a big hit! It could not have been easier to make and I think it is a great starting point for a good vegetarian option. Next time I might try adding chiles or mushrooms to it. It is hearty comfort food. Thanks for the recipe and the tempting pictures. What brand of corn muffin mix do you use? Thanks. Hi Kate, I used Jiffy corn muffin mix. I wanted to print the recipe for Cheesy-creamed corn casserole. Every time I tried there was a video in the final page. I am very disappointed. Don’t know if I will try to copy future recipes I would like to try. I am sure that many of your followers print the recipes so they are more accessible. Hi Juanita, That should not be happening and you have my apologies for the inconvenience; I will work to get it fixed! Love this casserole! 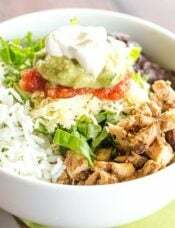 Add bacon and green Chile’s and it’s even better. A good side dish at Thanksgiving. 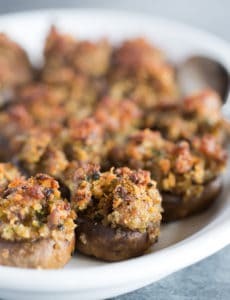 I also love casseroles and can’t wait to try this! This is so coincidental–we went to a Veteran’s Day dinner Saturday (thanks to our veterans and active duty military!) and this was one of the dishes served. We had never had it before and we all loved it (myself, my husband and my son). They will be happy to know I can now make it at home! What a crazy coincidence! I hope you and your family enjoy it often! I’ve been making the previous version of this for about 40 years. It’s a requirement at the Thanksgiving table. I’ve also made the Sweet Corn Spoon Bread and like it very much. I’m a huge fan of un-fancy and uncomplicated food.